Gonski role: Dr Lee-Anne Perry is among education leaders appointed to the new Gonski 2.0 review panel. 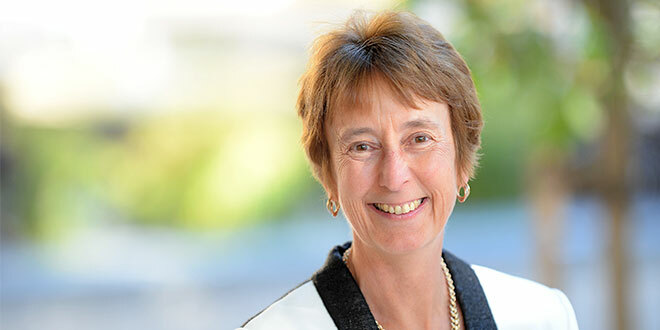 QUEENSLAND Catholic educational leader Dr Lee-Anne Perry has been applauded as a key appointment to the new Gonski 2.0 review panel that will advise the Federal Government on school funding in the next decade. “I want to contribute to the conversation around improving outcomes by bringing to the table the perspectives of Catholic schools and also my own experience as a teacher, principal and education administrator,” Dr Perry, who is the Queensland Catholic Education Commission executive director, said. Dr Perry is one of six leading educationalists to join businessman David Gonski to consider school funding, including an extra $24 billion the Commonwealth will spend on schools in the next decade. When the Government unveiled its new school funding plan in early May, Federal Education Minister Simon Birmingham also announced that Mr Gonski would lead the Review to Achieve Educational Excellence in Australian Schools. “This review process provides an opportunity to take stock of where we are now, listen closely to the voices of those working in the classroom, understand what the evidence-based drivers of successful programs are, and make recommendations that will lead to achievable and sustained improvements,” Dr Perry said. The other new panellists are management consultant Terrey Arcus, Smith Family chief executive officer Lisa O’Brien, executive director of the Association of Independent Schools of Western Australia Valerie Gould, principal of Glenunga International High School Wendy Johnson and principal of Broadbeach State School Michael Roberts. Dr Perry has led the QCEC since 2015 after serving as principal at All Hallows’ School, Mt Alvernia College and Mt Carmel College in Queensland. She earlier taught in government and Catholic schools in New South Wales and Queensland. The National Catholic Education Commission took to social media to applaud Dr Perry’s inclusion. “She brings great wisdom, knowledge and experience to the task,” the commission said. Senator Birmingham said the panel members brought together “a wealth of knowledge from across Australia”. “The experience of panel members stretches from overcoming challenges in regional and remote areas or disadvantaged and indigenous communities through to a strong appreciation of the demands the modern economy will place on future school leavers,” he said. According to its terms of reference the review panel will advise how to improve school performance and student achievement, areas not covered by the first Gonski review. It will examine how to best prepare young people to succeed in employment and tertiary education, and how to help different cohorts of students get better results, including the disadvantaged and vulnerable as well as the gifted. “The review panellists are ideal advisors on the best evidence-based practices for our students that will help guide how our schools and educators focus resources in classrooms,” Senator Birmingham said. He said the review would “set a pathway to turn around our stagnating and declining student performance and help to boost the preparedness of students for life after school”. The panel is expected to present its report in March 2018.